all the little stories» Blog Archive » weight loss and other side effects. weight loss and other side effects. So, Travis and I have been on a sort of modified South Beach “slow carb” diet and we’ve both lost a little over 10 pounds now! Yippee! We’ve also decided that we need to get ourselves in shape for our upcoming trip to Disney World… or else we’re going to keel over by noon from a day of traversing the park! 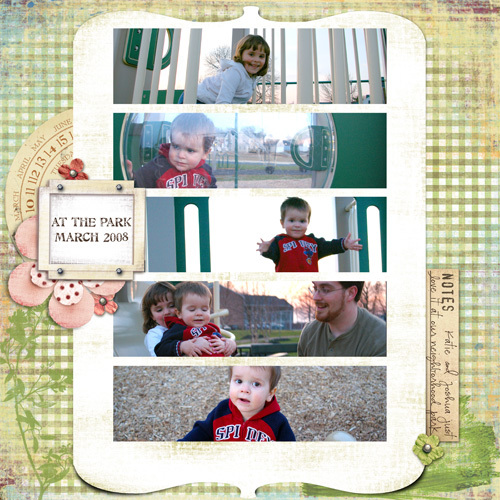 I made this with a new template that Jen Wilson just came out with: Easy Proofs. I can just see myself using it every week to make a new page about what we’ve been up to! Wouldn’t that be a fabulous “365 photos” sort of project? I tell you–I have so many ideas and never enough time for them all… sigh. This entry was posted on Friday, March 28th, 2008 at 4:42 pm and is filed under family, just life, linkage, scrapbooking. You can follow any responses to this entry through the RSS 2.0 feed. You can leave a response, or trackback from your own site.